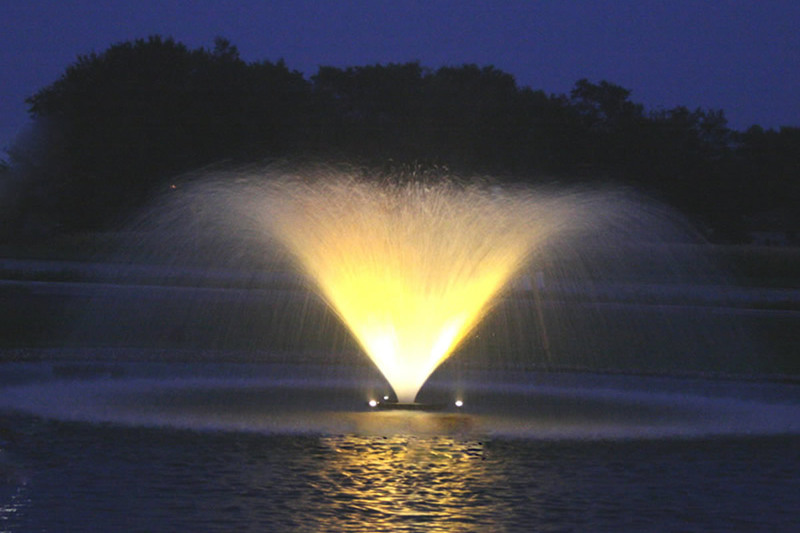 Designed to provide optimum performance with a stunning display, Kasco 5.1VFX and 5.3VFX aerating fountains are proven performers ideal for even the largest ponds and lakes. These units are available in both 240V single-phase (60Hz), 208/240V 3 phase (60 Hz) or 460/480V 3 phase (60Hz) power configurations. The 9 ft. tall by 34 ft. wide classic Kasco “V” fountain pattern gives these models a beautiful and dramatic display. 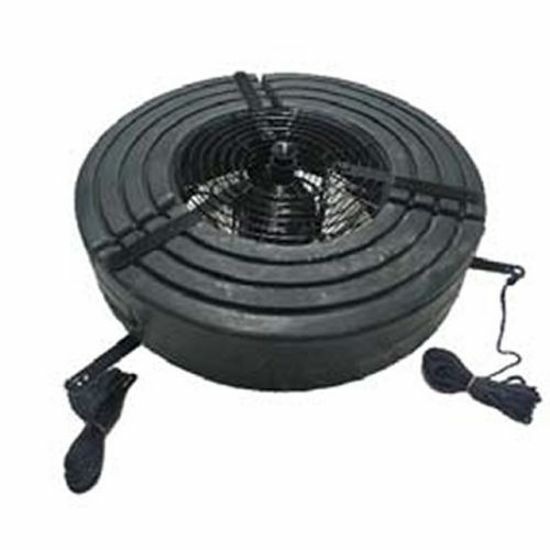 The 5HP motor is designed for maximum oxygenation to effectively improve the health of your pond or lake. The classic Kasco "V" fountain pattern, 9' tall x 34' wide gives this model a beautiful eye-catching display. 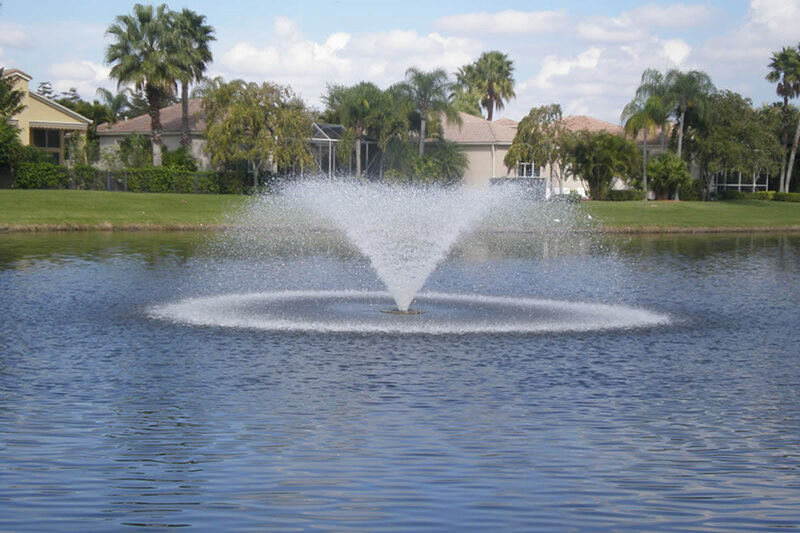 The larger motor and enhanced propeller design gives a pumping rate of over 800 gallons per minute, adding maximum oxygen to improve your pond or lake aeration. 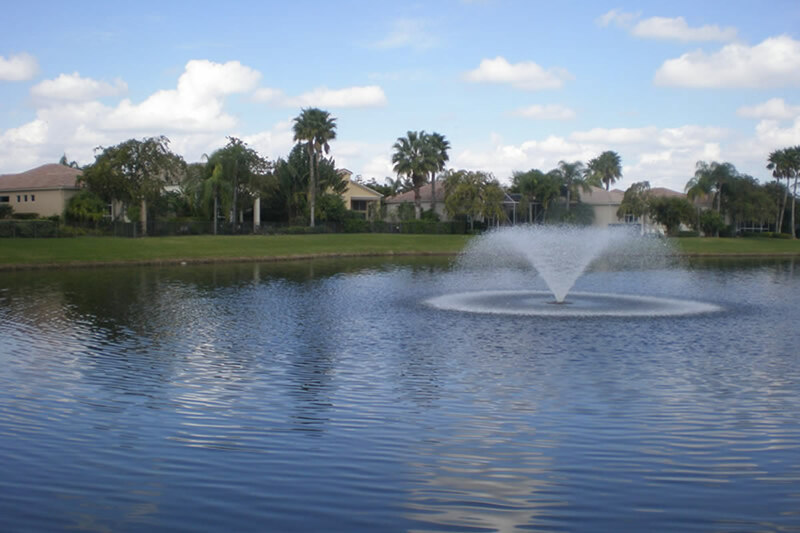 It will assist in improving your water quality as well as adding to the aesthetic appeal of your pond. The 5.1VFX is supplied with a state-of-the-art GFCB protected control panel, model C-95. The panel includes a 240 volt control panel with timer, GFCB protection, 120V GFI protected outlet for lights, and photocell for light operation. Kasco recommends a licensed electrician to install the C-95 control panel and wire the 5.1VFX into the panel. The 5.3VFX, 3 phase unit is supplied with a simple to use, all inclusive GFI protected 3 phase control panel, model CF-3235. These panels include all the best features. Included in this UL-508A, non-metallic 4x/3r panel is a true, 3 phase rated personnel protection GFI with a 5ma trip level. Also included is a motor starter with adjustable overload, lightning/surge protection, two 24 Hour time clocks (one for the unit and one for lights), and a Hand-Off-Auto switch. Other features are an angled field wiring terminal block for easy installation, input terminals for field installed interlock, and startup instructions with wiring diagram in the door. A licensed electrician should install this control panel.